It was a very sunny and even slightly warm afternoon at Starfire as the Seattle Sounders SuperSearch arrived with cameras in tow to take on Seattle Wolves FC in a match designed to...well...um...get some video footage for tomorrow night's big live finale on King 5 after the Super Bowl, perhaps? The Wolves won the shortened contest 2-0 and of course looked the better team since they've been together for a while. See Ron Stickney's Seattle Pitch match report here. A few of the SuperSearch guys did OK, which I guess is all we can ask for. No sparks of brilliance, though. A crowd of just over 1,000 curious soccer fans attended the match. From what I've read and talking with people after the match, the four most-mentioned names offered up for praise were Al Valencia, Junior Garcia, Vincent Oliveira and Chase Mikkelsen. It was only a two-minute day for trialist Gareth Waite who was plastered by a ball to the face very early on and was kept out the rest of the way for fear of a slight concussion. So, sun, soccer, (did I mention it was free) and displays of team work by the Wolves and occasional nifty moves by the SuperSearchers made for a fine time. For the guys trying to make the Sounders by winning this contest, I am not sure what to tell you. Perhaps a few extra prayers tonight and the hope that the Sounders staff on hand were somehow distracted most of the day? See also: Sounder at Heart has his take on the top performers. You never know what you'll find in a shoe box. Just ask Jenni Conner. The teenager who snapped photos of her soccer heroes in the 1970's is now the mother of two who snaps photos of Sounders players for fans in this generation. Recently Jenni found a shoe box full of old (mostly) black and white photos from the Seattle Sounders of 1977-1979 in the North American Soccer League. I grabbed the stash like any good fan would and spent some time scanning and then doing some slight touch-ups to the photos. Now they are online here at GOALSeattle.com and all of you recent Sounders converts can have a look back at how it used to be. Notice the crowds, the fan interaction, the banners that covered the Kingdome railings. Notice the way the players would wave in appreciation after matches. Notice how skilled the guys of that era were. Thanks for taking these photos all those years ago, Jenni, and thanks for finding them again and letting me share them with Sounders fans! View the entire gallery here! 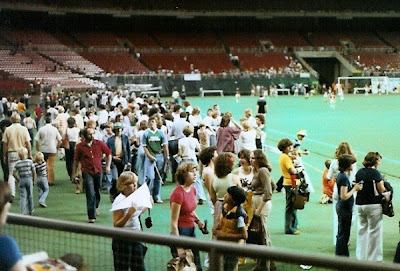 I've made a smaller gallery with Jenni's photos from the August 25, 1977 match at the Kingdome v. the Los Angeles Aztecs. 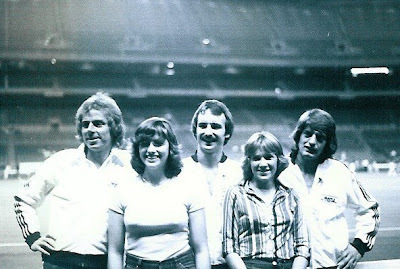 Before 57,000 fans the Sounders nipped LA 1-0 on a goal by Jocky Scott to advance to Soccer Bowl '77. See that gallery here! The Seattle Times reports that Sounders FC have released five players and that they'll be looking at some new guys when they arrive in California next week. Gone are USL Sounders fan favorites Kenji Treschuk, Kevin Sakuda, and Hugo Alcaraz-Cuellar along with Youssouf Kante and John Fishbaugher, also recent Sounders. Coming to make an impression next week will be defender Jared Karkas (draft pick), and forwards Ryan Pore (last with KC Wizards), Quavas Kirk (last with DC United) and Jeff Clark, who played college ball with Concordia Irvine, among others. Rick Morrison was at today's practice and sent us a few early photos. We'll have more over the weekend. Left, Osvaldo Alonso shadows Tyson Wahl today at VMAC. Slide gallery from today's practice. Today is a big day over at the VMAC and Sounders training. The club are expected to cut a few names off of the roster as they prepare to move camp to Oxnard College in Ventura County, California, next week. GOALSeattle's Rick Morrison will be at today's practice taking photos. Look for a gallery from Rick later on Friday or over the weekend. Who do you think gets released today? It has to be at least one midfielder, doesn't it? Sounders FC keep adding in that area (this week Osvaldo Alonso and Jacob Lensky are signed or getting a look at holding/defensive mid.). 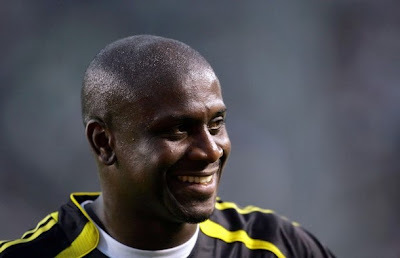 They join Evans, Treschuk, O'Brien, Sakuda, Alcaraz-Cuellar, Kante, King, Nyassi, Smith, Le Toux, Fucito and surgery boys Ljungberg and Vagenas on the training roster as all-out midfielders or possible converted ones. 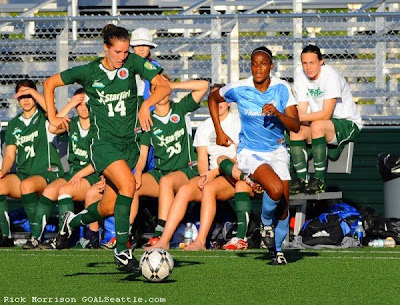 Rumors persist that the Sounders are looking to trade Khano Smith to another MLS side. I think the middies on the bubble are Alcaraz-Cuellar, Kante and O'Brien. Since we still need depth at defense it is possible that some 'fringe' talent could make the trip to California. We'll see if John Fishbaugher makes it through today, or if Adam West has done enough to catch Sigi's eye. 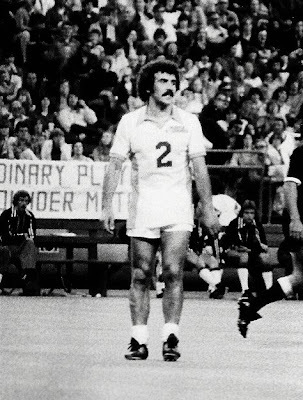 What about longtime Sounders captain Danny Jackson? Will Jared Karkas be the first draft choice to go? Up top at forward the Sounders already have a small crew: Zakuani, Jaqua, Levesque, Le Toux, Montero and Jarrod Smith. Fucito could also be in that category, though the club roster lists him as a midfielder. The two on the bubble would seem to be Levesque and Smith. In front of the nets it seems pretty clear that if the Sounders are going to go with two goalkeepers then Keller and Eylander are in, and Dragavon and Jennings are out. 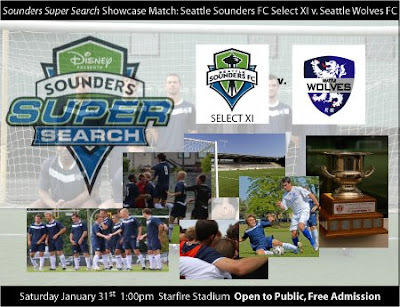 This Saturday, January 31st, the Seattle Wolves FC will take on the Sounders Super Search Trialists in front of a live audience and television crews filming for the Sounders Super Search reality television show. The match kicks-off at 1:00pm inside the Starfire Sports Stadium, and is open to the public, free of charge. In preparation for the match, the Wolves have announced the majority of the team that will represent the club in this historic contest. The final two roster spots for the match will be announced today and tomorrow on SeattleWovlesFC.com . Wolves' Technical Director, Alex Weaver, is excited about the match. "This is a great opportunity for the Sounders Super Search trialists, as one of them will be signed to an MLS contract for the 2009 season. We (the Wolves) also look at this as an opportunity, going into an exciting 2009 season. We're going to make these players on trial have to work for that spot on Seattle Sounders FC." The match has all of the ingredients to be really exciting for the fans on hand. Not only is it open to the public, free of admission, but "these boys are going to be flying on both sides of the ball", said Wolves' Assistant General Manager, Clay Walton-House. "This match will not lack any intensity or pace, and let's not forget, some of the best amateur players in the Pacific Northwest will be on the field." Footage from the historic match will be used in the final live broadcast of the Sounders Super Search reality television show, airing on NBC King 5 after the Super Bowl on Sunday February 1. As part of the build up towards Saturday's match, three rostered Wolves took some time before training last night to show off the club's new uniforms, with corporate sponsors for the match, Jones Soda, Agate Pass Transportation, College Pro Painters, Soccer West and ATEC Development. Gabe Sturm, Brandon Sprague and Sean Conlon were the first to don the Seattle Wolves FC kit that will be worn on Saturday against the Seattle Sounders Super Search team. Mutanda Kwesele has been removed from the roster due to an injury sustained in Wednesday's training. Kwesele will likely be replaced by Wolves' striker, Jason Cascio, who spent the 2008 season with the Seattle Sounders (USL-1) and played at Seattle University. The final two roster spots will be announced on SeattleWovlesFC.com today and tomorrow. The match kicks-off at 1:00pm inside the Starfire Stadium this Saturday. Admission to the match is free and open to the public. 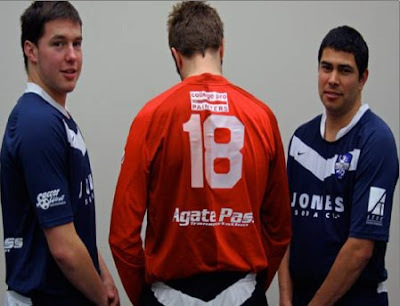 The Nike Azteca uniforms worn during the match will be worn throughout the SPSL season, and replaced in March with the Wolves 2009 PCSL and PDL uniforms. 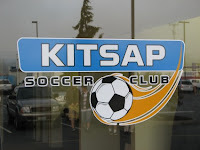 Bremerton, Wash. – The new, professional Kitsap Soccer Club will hold its first-ever open tryouts for prospective professional players, Saturday, February 14, 2009 at the North Kitsap High School Stadium (artificial turf) located at 18360 Caldart Ave. NE Poulsbo, Washington. To pre-register, please visit the club website, www.kitsapsoccerclub.com. There, trialists will find and complete a medical and liability waiver and official pre-registration form. Filling out the on-line form does not constitute full registration. Trialists must then submit their forms via e-mail, fax, postal service mail or on-site at the tryout itself. Trialists will undergo a fitness and skills evaluation lasting approximately three hours. Check-in begins at 10 a.m. sharp. The trials begin at 11 a.m. sharp. 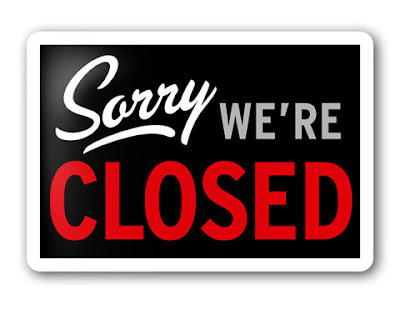 Deadline for on-line registration is noon, February 13, 2009. NOTE: It is strongly encouraged that trialists pre-register prior to arrival at the tryout. an on-site registration team will be on-hand from 10 a.m. to 11 a.m. on Feb. 14th. For further information please contact Ben Pecora, Executive Director, at 360-377-6008 or Vicki Williams at the Pumas offices. Now that the 2009 Seattle Sounders FC Major League Soccer season schedule has been released we are hearing from the club and fans about the set of dates. In the Seattle Times GM Adrian Hanauer says of the list "It's obviously a little front-loaded. Couple of tough road trips toward the end of the season, but it is what it is. We can't worry too much about the schedule, we just need to go take care of business." Fans are already ranking the matches they are most looking forward to and continue to talk about the schedule at SeattleSoccerTalk.com. GoSounders.com has created a downloadable schedule in Google. See instructions here. I was surprised to see that five of the fifteen matches will be afternoon kickoffs. It's a pleasant surprise for many of us who live well outside the city. The real buzz is that we have 8 out of our last 12 matches away. The murmurs of how the partnership with the Seahawks might have necessitated this are growing. What can you do? The stadium and the front office both will have multiple duties in September and October. For Sounders FC it makes the 'pressure' to start well early even greater, that is if you subscribe to the theory that we are in this to contend for a playoff spot in year one of the franchise. Also Read: Assistant Coach Ezra Hendrickson is featured in an article today. The Charleston Battery talk about losing Osvaldo Alonso to the Sounders. Jeff Parke is off to Belgium to try and catch on in Europe. All on the same day? Yep. Today the United Soccer Leagues has released the 2009 Premier Development League (PDL) slate of matches. Now we know the home dates for Seattle Wolves FC, Tacoma Tide FC and Kitsap Pumas SC. GOALSeattle.com has ALL of the home club HOME matches in our handy "Local Matches Calendar." Welcome to the SOUND of soccer! Seattle Wolves FC make their historic debut in USL soccer on Wednesday May 13 at 7:00 PM when they host Tacoma Tide FC at Starfire. Kitsap Pumas make their historic USL debut two nights later when the Tide again play the spoilers in Bremerton on Friday May 15 at 7:00 PM at Bremerton Memorial Stadium. Tacoma's home debut is Sunday May 17 at 3:00 PM against Cascade Surge. U-23 clubs from local rivals Vancouver and Portland come in to Seattle to take on the Wolves this summer, too. Portland Timbers U-23's come to Starfire on Wednesday May 20 while the Vancouver Whitecaps Residency visit on Saturday night June 20. In all of that hailstorm of local matches, we actually have very few conflicts. 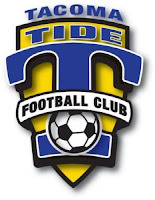 Tacoma Tide FC have two matches on the same days as the Sounders. We'll see if they adjust. Kitsap Pumas are in Seattle to take on the Wolves the same night that the Sounders host Columbus Crew. That's mostly it. 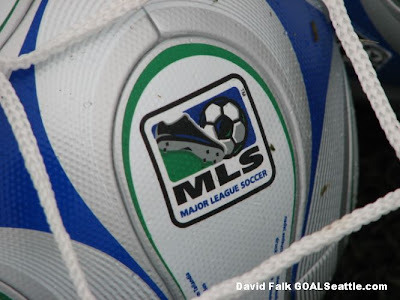 The full Major League Soccer 2009 schedule is now online at www.MLSnet.com. Seattle Sounders FC have posted their schedule at SoundersFC.com. Seattle will begin life in MLS with two straight home matches, March 19 against New York and March 28 against Real Salt Lake. In their first ten matches SSFC will have five home and five away. The longest streak of home league matches in a row is three at the end of June and into July when Colorado, Houston and Chicago come to Seattle. In between those visits the Sounders are also expected to host Chelsea and perhaps Barcelona as the league schedule thins out in July. ProstAmerika.com has a look at the 2009 slate here. The Seattle Pitch has the full pre-season and regular season fixture list. First glance: get points early because the season ends with 5 weeks between home matches. Sigi Schmid and Adrian Hanauer were philosophical about the club's chances of making the playoffs after the schedule revealed such a late-season imbalance (TNT). The 2009 W-League season schedule has been released and for our local club it is a 3-6-3 proposition. Known now as the "Seattle Sounders Women," with a name change likely to reflect the new ownership by Tacoma Tide FC, the W's will start the season with three away matches and end it the same way. In between come all six home matches in a long stand. All home matches will be played at Starfire Sports Complex in Tukwila, WA. The W's start the season May 16 against rivals Vancouver Whitecaps at Swangard Stadium in BC. RENTON, WASH. – Osvaldo Alonso, a first team All-USL First Division midfielder and league rookie of the year in 2008, has signed with Seattle Sounders FC, it was announced Tuesday. Sounders FC acquired Alonso’s rights from the Charleston Battery of USL-1. Per club and Major League Soccer policy, terms of the deal were not disclosed. He will be added to the club’s official roster upon the arrival of his transfer documents. Alonso, 23, started 31 games for the Charleston Battery last summer, scoring four goals and adding two assists. He also scored two goals in Open Cup play and another in the USL postseason. The Battery advanced to the U.S. Open Cup final, losing to D.C. United, and also qualified for the USL-1 playoffs. A native of Cuba, Alonso defected during the 2007 CONCACAF Gold Cup in Houston. He made 17 international appearances for Cuba, scoring twice. Earlier he served as captain of the U-23 national team during qualifying for the 2008 Olympic Games. The Sounders announced more pre-season matches today, including two at Qwest Field! 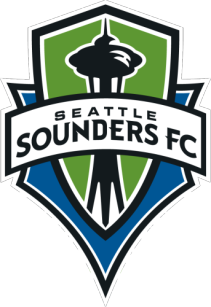 RENTON, WASH. – The Seattle Sounders FC have announced its schedule of domestic 2009 MLS preseason games, including two matches open to the public during the upcoming training in Southern California. Sounders FC, which opened training January 21, will face opposition for the first time February 9, with a training game in Carson, Calif., against the L.A. Galaxy. On February 10, Seattle will face Chinese Super League champion Shandong Luneng at the Sounders FC training site in Oxnard. Three preseason games will be open to the public. The first is February 11 at the Ventura County Fusion of the Premier Development League (PDL). The final game in California is February 13 at San Luis Obispo, against the San Jose Earthquakes. After returning to the Pacific Northwest, Sounders FC will visit the University of Portland on February 20. A pair of closed-door matches will take place at Qwest Field. Seattle hosts the Vancouver Whitecaps February 22 and, in the final preseason game March 12, Sounders FC plays the Colorado Rapids. Seattle hosts the New York Red Bulls to open the MLS season March 19 before a national television audience on ESPN and ESPN Deportes. Still to be finalized are four dates during the team’s training sessions in Argentina from February 27-March 5. The Kitsap Pumas are quietly making headway as they prepare for their first season. Chuck Stark checks in with the Bremerton bunch in today's Kitsap Sun. The Pumas will announce shortly that they'll be taking fan submissions for club crest ideas. The newly christened Seattle Wolves FC PDL club that will play the Pumas and Tacoma Tide FC this summer are going to be in the amateur category. If you are keeping score that means Kitsap will be pro and pay players, while Tacoma and Seattle will stay amateur and look for college talent. Sounders FC continue to get great coverage from local papers and KING 5 TV. Be sure to drop by the blogs at the Seattle Times (Romero) and Tacoma News Tribune (Ruiz). More today on the Sounders acquisition of Patrick Ianni in the Times, P-I, TNT. 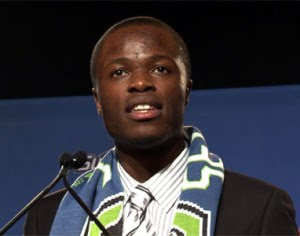 Blogger Dave Clark talked with Steve Zakuani, SSFC's top draft pick. Blogger 'Ness' looks at how the 2009 Sounders' roster reflects the world's game. In England, Adrian Hanauer's Cambridge United club continue battles over their venue. The speculation is over...Seattle Wolves FC are a part of the USL! (Tukwila, WA)— Seattle Wolves Football Club today announced the launch of a Premier Development League franchise (PDL) for the 2009 season. The club’s newest team will begin league play in May, and play all home matches at the Starfire Sports Stadium in Tukwila, WA. 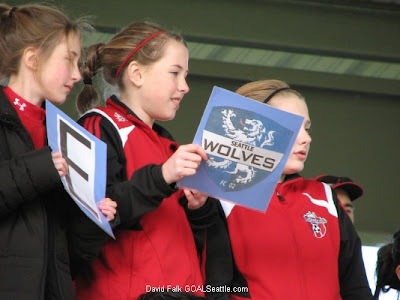 The new PDL team is a joint venture between Seattle Wolves FC and Crossfire Premier Soccer Club of Redmond, WA, one of the top youth soccer organizations in the United States. Seattle Wolves Football Club operates a tiered system of teams that spans the elite amateur and semi-professional levels. Players include top youth talent, elite college players, and aspiring, retired, or offseason professionals. The new PDL side will join Seattle Wolves teams already in the Pacific Coast Soccer League and Starfire Premier Soccer League. In addition to league play, the club will be busy with a full slate of friendlies and tournaments, including possible participation in the Lamar Hunt US Open Cup against higher division USL or Major League Soccer opposition. Seattle Wolves FC Technical Director, Alex Weaver believes the addition of the new team can be a substantial benefit to the long term success of the club. “Having the opportunity to bolster the number of elite college players in our system is key, as you can only have so many players on one roster. Adding the PDL side will allow us to maximize the advantages of our tiered system, and encourage a healthy level of intra-club competition that will only benefit the development of our players,” commented Weaver. With the addition of Seattle Wolves FC, the number of PDL teams in Washington State now totals 5, with teams already in Tacoma, Bremerton, Yakima, and Spokane. These Washington teams represent half of the total number in the Northwest Division, with the remaining 5 sides in Oregon or British Columbia, Canada. Ticket sales for all Seattle Wolves FC matches go on sale in February, with prices as low as $4 per game. For more information, visit www.SeattleWolvesFC.com . 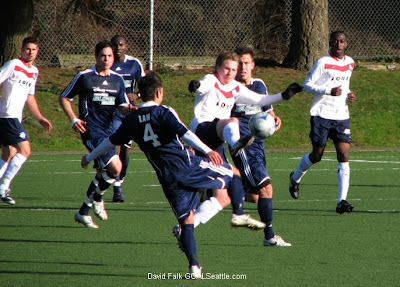 RENTON, WASH – Patrick Ianni, a member of the 2008 U.S. Olympic Team, has been acquired by the Seattle Sounders FC from the Houston Dynamo in exchange for a conditional 2010 MLS SuperDraft selection, it was announced Monday. Ianni, 23, is a 6-foot-1 central defender who played the past three seasons for Houston. He saw action in 17 matches, starting 10, in 2008. He also played nine more games for the Dynamo during SuperLiga, Champions Cup and CONCACAF Champions League play. Although he did not see action in Beijing, he played in three of five qualifying matches for the U.S.
Houston receives Seattle’s third-round pick in 2010. However, if Ianni plays in 20 or more MLS regular season and playoffs games, Houston will instead get the Sounders FC second-round selection. In his three seasons for the Dynamo, Ianni played 35 regular season games, starting 19 and scoring one goal. Houston won the MLS Cup in 2006 and 2007. Ianni (pronounced ee-AW-nee) started for Schmid while with the U.S. U-20 National Team at the 2005 World Youth Championships. 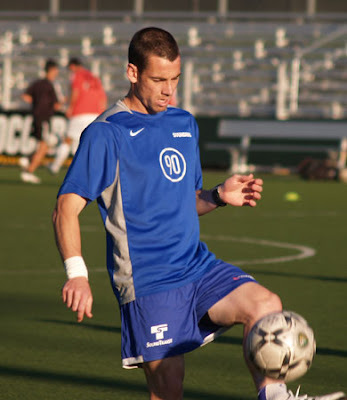 He was an All-American and Hermann trophy semifinalist in his only season (2005) at UCLA. Following his freshman season at UCLA, Ianni signed with Generation adidas and was selected by Houston with the No. 8 overall pick in the 2006 MLS SuperDraft. His older brother, Tayt, played for Schmid and was a teammate of Seattle technical director Chris Henderson on the Bruins’ 1990 NCAA championship team. Tayt also played two MLS seasons (1996-97) for San Jose. 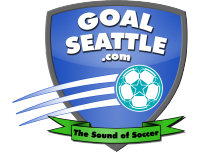 GOALSeattle begins archive for season one...or is that twenty-six? Over the weekend I started up the archive pages for the 2009 Seattle Sounders FC season. It is an annual tradition of getting the website ready for the news, events, photos, videos and memories of the new year. This time around there can be no doubting that the ritual brings with it more anticipation and excitement than perhaps ever before. We are about to archive Seattle's first season in Major League Soccer. We are also about to begin the archives of Seattle's 26th season of being called "Sounders." The 2009 Museum Page takes its cue from both aspects, and uses the motto "Tradition...from the first kick." While I am busy trying to recount the previous 25 seasons (1979 will be coming shortly) in this blog, I am also laying the groundwork for remembering the season we are still anticipating. It's all a part of the archive process. You can come to the 2009 Sounders FC Museum Page for the match schedule and for the latest uploaded photos, videos, press releases and fan memorabilia. You can also help build the archive by sending me your own photos, scans and memories to goalseattle@gmail.com. When you visit why not click "Museum Home" and look back at the last 25 seasons, then take that pride of tradition with you to Qwest Field this year as we begin, again. Our new start has an amazing 25-season preamble. While the rest of the 'mainstream' Seattle sports scene has gone about its business over the years the Sounders of recent days and of old have always maintained a special bond with their fans. Sounders FC of Major League Soccer have some pretty high standards to live up to in that department. Seattle soccer fans are used to having access to their heroes and even to being called by first name by players who they have gotten to know well. 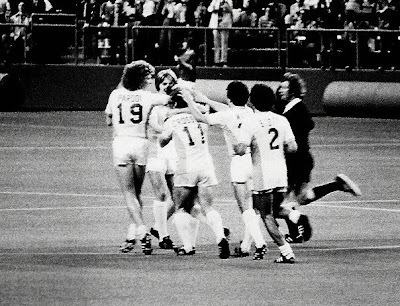 See also our first in this flashback series: The 1970's Sounders Reserves. Next: The original Sounders on the pitch. The first "MLS Extra Time" of the 2009 season is now online. The new format divides the weekly show up into three shorter segments. "I love American food, even though I am French," Sebastien Le Toux tells the P-I's Gary Washburn. "I love American hamburgers, but I know it's no good to eat every day, I try to stay healthy. Everybody here is very nice, and there is no judgment because I am French. Everybody is very helpful for me. I am very happy here, and it's the life I want. "My goal is to play on the team and be a starter," he said. "I know I have to work. My progress is not finished. You have to continue to work and play hard. I know we have to give a good show because there are already 20,000 people (season-ticket holders) coming to the games." Sounders FC are getting some nice coverage these days, especially in the Seattle Times (Jose Romero) and Tacoma News Tribune (Don Ruiz) soccer blogs. Both blogs have details of Friday's 11 v 11 scrimmage that saw Nate Jaqua score two goals and Fredy Montero and Sebastien Le Toux add one each. Looking for some reaction to the Fredy Montero (pending) signing? Try Sports Illustrated, the P-I, the Times, Big Soccer and Soccer By Ives. An Associated Press story by Greg Bell has been getting wide circulation, adding to the feeling I am getting that Sounders FC will already have a 'target' on their backs when they enter MLS as an expansion team on March 19. "The splashy new Seattle Sounders are still two months from their first game. Yet they already have sold far more season tickets than Major League Soccer averaged in attendance last season. They have the millions of Hollywood filmmaker Joe Roth, team co-owner and actor Drew Carey, and Microsoft Corp. co-founder Paul Allen. Disney is a team sponsor, too. All that cash pried one of MLS' most-accomplished coaches, Sigi Schmid, away from the league champions and persuaded Swedish national star midfielder Freddie Ljungberg to come from England's Premier League to this relatively modest soccer league in the United States. And they have a partnership with the Northwest's pre-eminent sports franchise, the Seahawks of the mighty NFL. The only thing missing from all this buzz is David Beckham. More is good when it comes to the Sounders, so we are posting a second gallery of practice photos from Rick Morrison today. See also the slide show above that has shots from Jenni Conner, Rick, and me. Sanna Nyassi is checked by Adam West. The Sounders FC continue to add firepower to their lineup. On just their second day of training camp, the club made their second signing since camp began, adding Colombian forward Fredy Montero, contingent upon him receiving international clearance and his P-1 visa work permit. 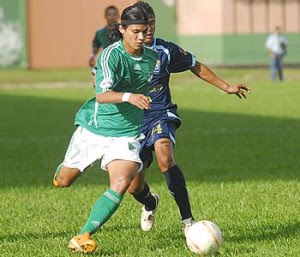 Montero would join the club from Deportivo Cali in his native Colombia, where he has played since 2005. The 21-year-old dynamo has been one of the early highlights of training camp. "It's great, without a doubt,” Montero said of Sounders FC camp. “I've found myself with players who are giving their all and I want to be part of a group that wants to make up a winning formula." 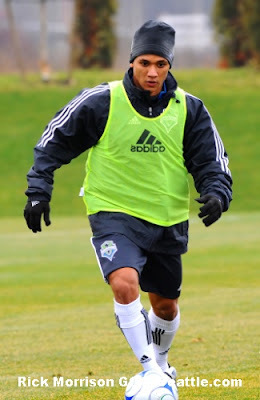 Sounders FC Head Coach Sigi Schmid has been impressed thus far with Montero’s adjustment in his first days in America. I've uploaded a gallery of photos I took at practice on January 21st here. In other news the Sounders are leaking information early that they will be playing Chelsea this July at Qwest. If you want the best seats to that match you should get season tickets. Season tickets in the south end are on 'a special' between now and Friday. See details here. Zakuani, Wahl, Cascio and King scrimmage. We've got ten minutes of video from the historic first-ever Sounders FC practice. The first reel is the session in progress and the second reel is the media with the players after. Be sure to watch to the end of the lower clip to get some scoop about players from owner Joe Roth. Jenni Conner practice day photos can be seen here. Rick Morrison photos from the inaugural practice can be seen here. January 21, 2009. Renton, Washington. A bit after 10:00 AM Seattle time. 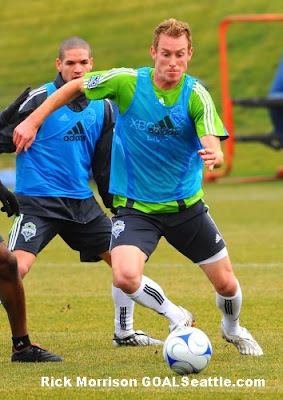 Let it be noted that the very first Sounders FC player to don the (training) kit and hit the pitch was...Taylor Graham (see more about Graham below). Graham was followed by a horde of other signed players and hopefuls and when Colombian striker Freddy Montero made it to the party about half an hour later the first practice session was well underway. Over thirty members of the press huddled in the foggy shrowd of cold as the players warmed up and then divided into teams for matches. Time to kick off the cobwebs and start 2009...and a new franchise. The practice was spirited and noisy. The gathered press and even the coaches strained from afar to tell players apart without jersey numbers and with most-everyone wearing stocking caps. After about two hours players met at the base of the Seahawks VMAC facility and gave interviews to press. We spoke with Evan Wood, Brad Evans and owner Joe Roth, who has some words for Sounders fans about the 2009 roster. Those interviews will be up soon. Coming: photos from Jenni Conner, Rick Morrison and video highlights from the first-ever Sounders FC practice. Sounders FC are in need of defenders and seasoned midfielders. That's good news for many of the United Soccer Leagues (former) Sounders players who will join the drafted, invited and signed players at the Virginia Mason Athletic Center for the first-ever day of camp Wednesday at 10:00 AM. Defenders Taylor Graham, Danny Jackson, John Fishbaugher, Adam West, Zach Scott and Kevin Sakuda will show at camp with midfielders Leighton O'Brien, Hugo Alcaraz-Cuellar, Kenji Treschuk, Nik Besagno, and Youssouf Kante, and forwards Roger Levesque, Jason Cascio, Andre Schmid and Craig Tomlinson. Goalkeeper Ben Dragavon will try to impress enough for the club to consider carrying a third stopper. The recent Sounders will join with the rest of the MLS-gathered Sounders and compete for the eye of head coach Sigi Schmid. The group is deep in defense and middle defense, with Jackson, Graham and O'Brien all with previous Major League Soccer experience. MLS rosters are set at 24 for the 2009 season. Sounders FC will enter camp with 36 names on the pre-season training roster. RENTON, WASH. – Seattle Sounders FC completed its coaching staff with the addition of Ezra Hendrickson as an assistant to head coach Sigi Schmid, it was announced today. "By uniting all of select soccer under a common umbrella," says Mason in the letter, "we hope to strengthen our premier program and provide greater opportunities for players who strive for the highest levels. At the same time, we plan to strengthen the essential characteristics of our local and club-based teams and what they provide: an affordable select soccer experience, convenience to families, and a chance for every player to compete at their optimum competitive level." Quite a way to embark on the 40th year of the SYSA. Read my interview with SYSA Executive Director Ed D' Alessandro in the complete 'Seattle United' article over at Seattle Soccer Examiner. Join the Seattle Sounders FC, Disney Corporation and Belo for the inaugural Sounders SuperSearch presented by Disney. open at 8:00pm. Admission to the show is free. You are also invited to join us at the Starfire Sports Complex Stadium Field on Saturday, January 31st at 1:00pm to watch the 10 Sounders SuperSearch finalists in an 11 v 11 match against the Seattle Wolves. Sounders FC coaching staff will be on hand to watch the match and evaluate the finalists. Admission is free and seating will be on a first come, first served basis. REMINDER: Vote for your favorite finalist beginning later this week! Video highlights, biographical information and comments from Sounders FC evaluators will be available on King5.com starting January 22nd. The finalist with the most votes automatically gets a spot in the final four. For more information visit SoundersFC.com or King5.com. Fox Sports Northwest previews Drew Carey and Kasey Keller in their "In My Own Words" series appearances in the YouTube videos below. SoundersFC.com has the broadcast schedule for both Kasey and Drew's appearances. 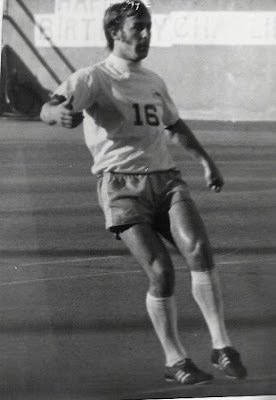 Jenni Conner has shared another batch of 1970-80's Seattle Sounders photos from the North American Soccer League days with us. We'll be adding many photos from the Kingdome years and from both on and off the pitch of those well-loved Sounders of old. Watch for them in the coming weeks right here at GOALSeattle.com. UPDATE: I've added three more photos to the reserves gallery. Also, check out this 1977 set from a Sounders visit to Vancouver's old Empire Stadium to play the Whitecaps. We are starting with an extremely rare set of shots from the 1970's Seattle Sounders Reserves squad. Faithful fans showed up for reserve matches back in the day and they were rewarded by seeing eventual stars like Jimmy McAlister, Mark Peterson and Jeff Stock get ready for the big leagues. They also saw the first coaching gig for Harry Redknapp and plenty of cameos from Sounders stars who wanted to get some 'work in' between league starts. Read more about the Sounders reserves and Harry Redknapp's coaching start here. See some club photos here. ANother scan of Harry's first coaching job is here. Redknapp is of course now famous the world over as the latest coach of Tottenham Hotspur. Check out the gallery. Do you recognize anyone? Seattle Sounders FC will face the San Jose Earthquakes in a pre-season match Friday February 13 in San Luis Obispo, CA, it was reported by SLO Tribune. The newer Earthquakes will also take on the expansion Seattle Sounders FC, a team with the same name as the one Cal-Poly head coach Paul Holocher, a Seattle native, followed from 1974 to 1983. Partially owned by “Price is Right” host Drew Carey, the Sounders FC are managed by Sigi Schmid, who led the Columbus Crew to the MLS title last season. The Feb. 13 game between San Jose and Seattle, the first time the Sounders FC will be playing on American soil as an MLS team, is scheduled for 7 p.m. The Sunday match between the Earthquakes and the Dynamo is set for 1 p.m.
Prices range from $12 single-game to $30 weekend packages for adults and $6 single-game to $30 weekend packages for youth and students. Seattle Sounders FC is a franchise with plenty of history despite entering the league as an expansion team. The Sounders were originally a member of the North American Soccer League from 1974-1983 before folding prior to the 1984 season. Holocher, a Seattle native, has fond memories of watching the original Sounders and being part of their return to the highest level of soccer. Those of you visiting the Starfire Sports Complex recently, may have noticed a change. In addition to the MLS construction projects that are ongoing in the northern sector of the park, the Seattle Wolves FC recently opened offices in the southeast corner of the Starfire Athletic Center. Long-time home of all Wolves’ training and home matches, Starfire is now the official home for all Seattle Wolves’ operations. 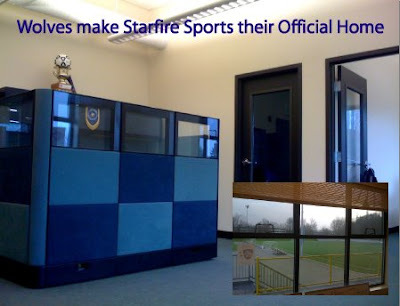 “The logistics of operating the club out of Starfire just got a whole lot easier, now that we can maintain office and meeting space on sight as well.”, commented Wolves’ General Manager, Andrew Opatkiewicz. Starfire Sports is a world-class soccer facility located just off of I-5 in Tukwila, WA, 15 minutes south of Seattle. Home to the newest MLS franchise, the Seattle Sounders FC, Starfire is also dedicated to the development and empowerment of young adults through partnerships with local youth soccer clubs and community organizations. Founders Chris Slatt, Steve Beck and Mark Bickham opened Starfire in 2003, and the complex seemingly became an instantaneous success with 4 high-quality Fieldturf fields and several grass pitches available to the growing number of youth footballers in the Puget Sound area. The Wolves met with Steve Beck and Julie Hoyle-Lowe, Starfire General Manager, in November of 2008 to propose the tenancy. “After meeting with Steve and Julie, it was clear that Starfire was the place for us to be. And, even though we have only been operating out of Starfire for a few weeks, and the office is still being ‘put together’, it’s been great so far. We’re looking forward to a great year ahead of us. It is fantastic that the Starfire group has such a dedication to the young player, and not only as athletes, but because they see how the game can help develop good people too.” Opatkiewicz continued. So, next time you’re at Starfire for your, or your son or daughter’s game, stop by the Wolves office in the southeastern corner of the main Athletic Center, on the main concourse. And don’t be afraid to pop in and introduce yourself, the club is always excited to meet football players, fans and enthusiasts. 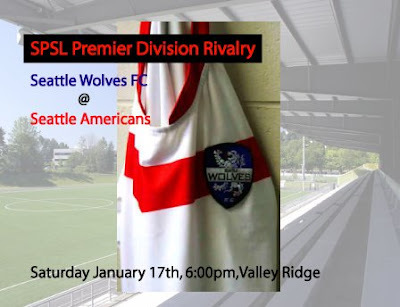 On September 15th, the Americans and Wolves met in the first match of the Fall SPSL Premier season. After taking an early 2-0 lead, the Wolves allowed the Americans to come back to tie and eventually take a 3-2 lead. If it weren’t for an 80th minute strike by Wolves’ defender, Daniel Scott, and a late penalty saved by Wolves’ goal keeper, Pete Lechak, the Wolves would have opened the season with a loss. That draw went on to be the only points dropped during the regular season by the Seattle Americans. The Wolves went on to a 7-0-3 record, which was good enough for only second place in the regular season standings. Saturday’s match between the two SPSL Premier Division powerhouses promises to be an entertaining one, with early season positioning in the newly formatted SPSL at stake. The match kicks off at 6:00pm at Valley Ridge on field 1. Valley Ridge is located at 4644 S. 188th St. Seatac, WA), just two exits south of Starfire on I-5. Now it is January 2009 and Sounders FC training camp is but a few days away. So where is Montero? Soccer website FutbolRed.com tracked down the rising star and reports that he is on his way to train with the Sounders. The Spanish-language website article quotes Montero as saying he still has hopes of ending up in Spain with Real Betis, but that he will be boarding a plane for Seattle on the 18th to begin training camp on the 21st in the Emerald City. UPDATE: In other foreign player news it appears the deal with Rosenborg to bring over Costa Rican defender Roy Miller is dead. Norwegian-language link. No US medical insurance could be secured for Miller's pregnant girlfriend. This is huge news for the Sounders. If Montero stays for the entire Major League Soccer season Seattle will be getting the top scorer in the latest season of the Colombian premier division. They'll be getting a natural talent with great goal-scoring instincts and excellent speed. They'll be getting a guy who lives and breathes soccer and is on a high trajectory toward becoming famous around the globe. Video: Montero (#17, green) has a great match with Deportivo Cali last September. The leading scorer of the past Colombian professional tournament said "I am waiting with tickets to start the season with the Seattle Sounders." The former Deportivo Cali attacker, who is in the city of Barranquilla since last December, said he has used the days before his trip to share with his family. "Actually I have been resting, sharing with family and playing some matches with friends." Montero is only 21 years old and has played for the Colombian national football team twice and with two different professional clubs (Huila and Deportivo Cali). "I will be looking forward to what may happen in Spain, but if things are not defined by January 31 with the Spanish league I will stay in MLS with Seattle." The 2009 Major League Soccer SuperDraft is over and in less than a week the Seattle Sounders will begin training camp. The club picked Arsenal-trained striker Steve Zakuani number one overall, and followed up with some defensive choices. Evan Brown and Jared Karkas are defensive backs that play on opposite sides. Seattle's last pick was mifielder / forward Michael Lucito from Harvard. Other news: Freddy Montero to join Sounders training camp next week, and club announces radio deal. Here are a few post-draft comments from GM Hanauer and Head Coach Schmid. Sigi Schmid: "I’m very happy with how things went and what we accomplished. I think Steve Zakuani—starting with him—I think he has a huge upside: he’s got qualities that you can’t teach. Players are either comfortable on the ball or they’re not. They have an ability to run at people with the ball. He’s got these abilities. He’s got some goal-scoring experience. He’s comfortable coming left to right, which you don’t always find. A lot of forwards are more comfortable coming the other way sometimes. He’s got the potential to be very, very special. When you have a chance to nab a player like that, that’s something you definitely have to do. Evan Brown is an attacking right back. I think in his last two games at Wake Forest playing on the right back position, he had 14 assists. As his coach at Wake Forest said to me, he’s got an engine similar to Frankie Hejduk and I think Frankie’s had a pretty good career. So if we can see some of that engine and see him getting forward, that’s going to make us a much more entertaining team, and also a much more difficult team to defend. Jared Karkas is a player that I know and is sort of a left-footed version of Evan Brown. He’s another player…who’s very attacking-minded, played very well in the PDL summer league where he was going against Division I and all kinds of players, and he was good enough to play in the middle of the back. He’s left-footed, but he’s another player who’s very attack-minded when he plays outside back, which is good. Mike Fucito—I heard the question before about the Harvard education—my last question to him was, ‘Is this something you’re excited about doing?’ and he goes, ‘Expletive yes!’ [Laughs.] So I think he’s into it. He knows a guy in the league by the name of Cory Gibbs who came out of Brown. He’s done fairly well in soccer and that’s the world that he went into, so again, talking to coaches that I knew that knew him, talking to his old coach at Harvard, John Kerr, he had nothing but the highest praise for him, and he’s coached him since he was 14 years old. My question to John Kerr was, ‘Would he have started for you at Duke?’ and he said, ‘Without question he would’ve started.’ He’s another very dynamic, physically-talented, left-footed player, which helps us in terms of getting cover on that side of the field. From that, I think we were able to get attacking players, attacking defending players to give ourselves cover on the flanks and also be able to pick up a special player, which is always great. GOALSeattle.com kicks off flag-making contest! Congratulations! It's *not* a defender...yet! Will Sounders get 'Zip' in the SuperDraft?